Picture being seated for a seafood dinner at any of the best restaurants in Sarasota while the sun sets. You’re just about ready to buy your plane ticket now, right? Well, we do not blame you. With plenty of access to open water and a great city to bring in business, the best restaurants in Sarasota are marvelous. 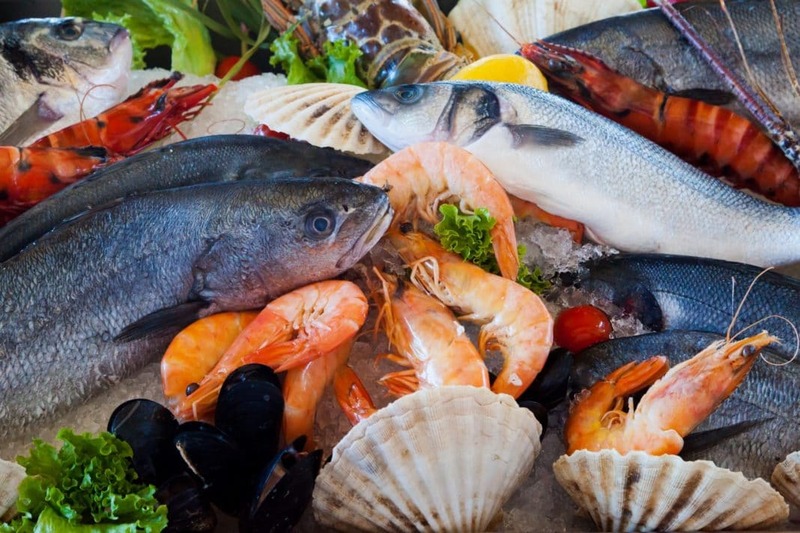 From incredibly fresh seafood to unique cuisines from around the globe, there is something for everyone. Small, intimate spots will knock your socks off. Unbelievably tasty fine dining options abound here, too. The chefs of these restaurants have been perfecting and experimenting for years. That shows through in each and every dish we describe in this list. We apologize in advance that reading about these delectable dishes will make you quite hungry. So, peruse our picks for the best restaurants in Sarasota as you back your bags to hit the city. A longtime dream of Owner and Chef Malin Parker had been to open a Taquiera. It all came true when the Screaming Goat Taquiera opened. This spot is dedicated to bringing you the freshest and vibrant Latin street food in Florida. We can affirm they have done just that. 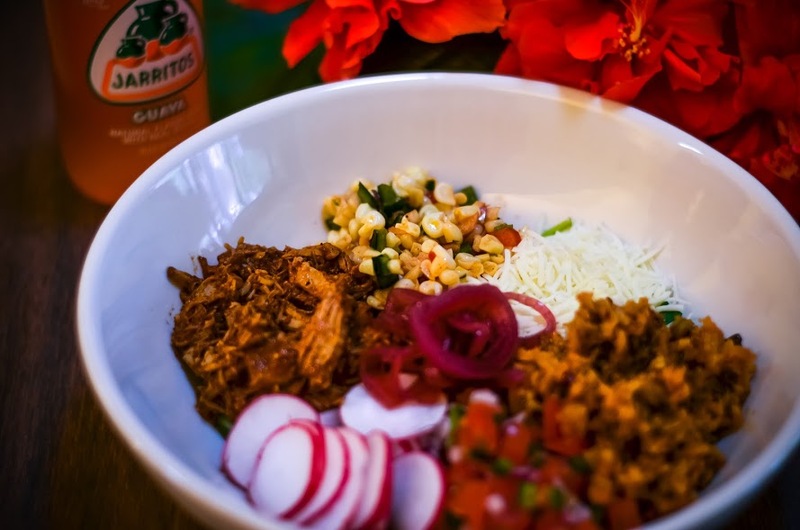 Their signature tacos include the Pork Cochinita Pibil, Latin Falafel, and Beef Barbacoa. There are plenty of tasty vegetarian and vegan options as well. This makes it a great place to take out your friends who have a variety of dietary needs, wants, or restraints. With seven different salsas to choose from, you never have to have the same taco or burrito twice if you do not want to. The most tempting salsa is probably the Scotch Bonnet-Roasted Pineapple, although they all sound spectacular. Whatever you choose to indulge in at the Screaming Goat, you’ll taste the attention to detail in every bite. Each item is made from scratch with time-tested recipes, giving this place its flavor. Keep in mind that as it harkens to street food, there is not a ton of room in this small taco shop. But that is more than okay; it is just another part of the experience and ambiance here. So, for the best restaurants in Sarasota to grab and go, the Screaming Goat Taquiera is definitely it. 2. Duval’s Fresh. Local. Seafood. Do you like knowing that fish you are eating was swimming just hours earlier? Well, if you do, Duval’s is the spot for you. Duval’s is dedicated to bringing you the finest seafood every morning and filleting it in house. Pair this with their made to order service and you have a seriously good deal. You will quickly understand why local’s love this place. Also, make sure to take advantage of their free - yes, you read that right - shuttle. If you’re anywhere downtown, you can text them and they will come to pick you up in their shuttle van at the time you designate. How cool is that? Their customer service is just that good. All around, Duval’s is spectacular. So, let us dive into what you should order if you choose to stop here as you search out the best restaurants in Sarasota. Signature items include their Po’ Boy and Baja Tacos. Of course, you cannot go wrong with the Shrimp and Crab Cake Melt either. You would think food this fresh might make a dent in your wallet. But, Duval’s is nice when it comes to budget too. They are competitively priced for any soup, salad, or sandwich that you could get for lunch. If you are in for Sunday Brunch, make sure to try one of their Benny’s. Choose from lobster, shrimp, and the salmon pastrami Benny to quench your appetite. If it’s dinner you seek, prepare to be amazed. The Scallops Rockefeller will surely please but do not forego the Lobster Mac N Cheese, either. Of course, any catch of the day plopped on a signature salad will be marvelous too. So, wherever you end up in Sarasota, just make sure you make it to Duval’s at least once. Keeping things simple, natural, organic, and beautiful is key at the Bodhi Tree Cafe. A delightful combination of both Italian and Mediterranean influences, you have a wide variety of choices here. This includes gluten-free and vegan options for those of you are searching for those on our list of the best restaurants in Sarasota. You will also enjoy the lovely garden patio for a place to eat. Soak up the sunshine while enjoying their placement within the Towles Court Art Colony. We must note that the Bodhi Tree Cafe is run by owners Carolina and Chef Oscar who pour their heart and soul into your experience. The vegetarian crowd favorite here is the Eggplant Parmesan. After the eggplant is sliced and breaded, it is topped with mozzarella and parmesan. Homemade red sauce is then ladled on top as it goes into the oven to be baked to perfection. If that doesn’t quite suit you, the homemade gnocchi may instead. With different flavors every day, this melt in your mouth entree is sure to please. Top it with any red sauce, pesto, ragu, or pomodoro if you please. Of course, these are just two options amongst a whole menu. Gyros, salads, appetizers and more await you and one of the best restaurants in Sarasota, the Bodhi Tree Cafe. Some husband and wife duos simply cannot be stopped. In this case, we would not want them to. Antoine's Restaurant is run by Angela, who oversees the kitchen, and Olivier who runs the front of house. Between them, you can expect the highest quality service and attention to detail. They have worked everything out in fine detail from when you walk in the door to the last scoop of dessert you receive. Everything is made in house, from their soups and salads to bread and pasta. But, if you have a soft spot for mussels, this is definitely the place to be. There are over ten ways to have your mussels, most having a hint of Chardonnay to please you. If seafood isn’t your cup of tea, that is alright. There is plenty from the land as well to tempt you at Antoine's. Duck Breast, Steak Tartare, and Filet Mignon are all on the menu here, awaiting your order. Remember that the experience is more than just the taste, too. Both the sophisticated yet unassuming decor and the decadent presentation will satisfy your eyes’ desires. This all being said, we do need to warn you. Antoine’s is found in a strip mall and you may seem a bit skeptical at first. But, take our word for it, you will be glad when you step inside and find your search for one of the best restaurants in Sarasota is complete. Are you searching for a restaurant you can feel good about eating at? Well, Indigenous has both brilliantly prepared, delicious food as well as sustainable and progressive supply chain. The menu is ever-changing to promote the local seafood and produce when it is at its peak. This means that Chef Steve Phelps knows his stuff. You can see this attention and care for the planet even though the beautiful restoration of their building. Keeping the style and charm of the building, they have developed a classy spot great for any night out. While options are ever-changing, here are just a few of the current temptations. The parmesan beignets are made with local pears, honey, and thyme to create a must-have experience. Shrimp Wafu Garlic Noodles will have you wanting more with their crunchy nori and magic sauce. The Uncle’s Burger is to die for with bacon jam and duck fat roasted potatoes on it, among other things. So, hopefully, these few items have given you a taste of what you could experience at Indigenous. Of course, local sustainable seafood is always on the menu here. How could it not be at one of the best restaurants in Sarasota? Do not worry if you cannot make it to Italy this year to experience their cuisine. With Dolce Italia, you only need to go to Florida to experience the best Italy has to offer. Chef and Owner Tiziana de Costanzo is from the small island of Ischia in the Gulf of Naples. She brings all her country, heritage, and cooking expertise with her from across the ocean. As she is both chef and owner, Dolce Italia is a small establishment with extreme attention to detail to give you the best experience possible. Seeing how much love has been poured into Dolce Italia makes it easy to see why it is one of the best restaurants in Sarasota. It’s no surprise that much of the choices here are pasta. But, you will want to try each and everyone when you taste your first. Start with one of the many appetizers, such as the Neapolitan Eggplant. It is topped with fresh tomato sauce, warm ricotta, and parmigiano. There are myriads of pasta to try as well, including Linguini with Shrimp and Rigatoni Al Pesto. Of course, every regular at Dolce Italia would urge you to try the dessert. Tiramisus, canolli, hot lava cakes, and more await. Our favorite might just be the vanilla gelato topped with a hot shot of espresso, though. You simply cannot go wrong with that. So, whatever you choose, you will be enchanted by this little taste of Italy. Chef Darwin has mastered another restaurant, yet again. He uses his creative drive, adventurous heart, and passion for life to create brilliant dishes at Darwin’s Evolutionary Cuisine. Born in Peru, Chef Darwin learned his tastes there before he moved to Florida when he was thirteen. This can be seen in his Peruvian influence although he does incorporate French tastes and techniques as well. You will see both of these sides in dishes like the chilled mango gazpacho and scallops tiradito. If you’ve made it through dinner and still need - or want - a little more, do not overlook the desserts. The “Sambito”, the nickname for the pot of mousse, is a crowd favorite. Bittersweet dark and white chocolate mousses are combined in a chocolate pot, then it is topped with cappuccino ice cream and mango and raspberry sauces. The food is beyond compare; but so is the service. Friendly, quick, and professional service is highlighted by almost every patron that eats here. Add that to the funky-fresh vibe of the restaurant and you have a great date spot. There is a high-quality wine and beer list, as well as many hand-crafted cocktails. So, if you’re ready to experience one of the best restaurants in Sarasota, hop on over to Darwin’s Evolutionary Cuisine. Latin fusion awaits at the Selva Grill. With an emphasis on Peruvian dishes, you will find each dish unique and tasteful. This high quality is brought to both their food and the ambiance of this classy establishment. The Selva Grill is well known for their ceviches, so make sure to grab at least one while you are here. Whether it is the Wahoo Ceviche or the Tropical variety, each one will tantalize your taste buds. The ceviche alone would earn the Selva Grill a high rank on our best restaurants in Sarasota list. But, they have much more as well to help them rise to the top. Treat yourself to Lobster Tostadas, the Whole Fried Snapper, or even Salmon Chileno. Of course, there is also plenty of steaks, chicken, and other things if seafood does not suit you. One of our favorite things about Selva Grill is that you can see all the entree options if you bring your smartphone and scan the code in the menu. With this, you can know exactly what you’re getting. Of course, no outing to the Selva Grill is complete without one of their spectacular cocktails. Their Selva Classic is slightly dirty with blue cheese stuffed olives. If that sounds a little too risky for you, their Ginger Old Fashioned might be your choice. With Canton Ginger liquor, bourbon, bitters, and muddled orange and cherry, you cannot go wrong. So, however, you choose to wine and dine at the Selva Grill, you will not be disappointed. A ten thousand gallon fish tank should be enough to draw you to Summer House Steak & Seafood. If that does not do it, though, let’s through in a 436-bottle wine cellar and 1200-degree Montague Grill for your steaks. The Summer House Steak & Seafood means business. That is why they have thought through every detail of their restaurant, from the design of the building to where they source their steak. The latter is only from sustainable, natural, and prestigious farms, by the way. Of course, all their other ingredients have been sought out to be the freshest and tasteful on the planet. So, you can be sure that when all of this is put to action, a spectacular dining experience emerges. Now, you are probably wondering what you get to eat. Well, Chef Evan Gastman has designed some crowd favorites. The salt-roasted mixed beets will dazzle you with their goat cheese crumbles and pistachio praline. If you want a big meal, grab the Colossal Lobster Tail or the Niman Ranch Pork Chop. There are also numerous steaks and chops to choose from. You can select the sauce, crown, cut, and even ranch your steak comes from. So, if you like choice, Summer House Steak & Seafood is the place to be. If you’re hoping to bring guests, it does help to make a reservation in advance. It is a casual but classy atmosphere, so keep that in mind as you get ready for dinner at one of the best restaurants in Sarasota. Eclectic. Inspired. Progressive. Three words you could use to describe The Cottage. However, you could also use “Old Florida Charm”. This restaurant combines the best of the olden days with a modern spin. They describe themselves as “foodies serving foodies” and we can see why. You can grab a Superfood Salad, Big Island Tuna Poke, or sweet plantains as tapas to start. If you are in the mood for a sandwich, check out their Billionaire Burger. It has chuck, short ribs, and a brisket blend in it. Does that not sound scrumptious? Also, if you come between 11 am and 6 pm, you can enjoy two dollar domestic brews which is a sweet deal for Sarasota. Combine that with their food and you quickly realize how The Cottage is one of the best restaurants in Sarasota. If you prefer to stop by for dinner, you will have the best farm to fusion food in the city, Items like their Gochujang Salmon will draw you in being made with a Manchego hashbrown cake, scallion herb aioli, and Meyer lemon caper jam. Of course, you can also order some PEI Black Mussels or some Wonton Tuna Tacos. Finally, for entrees, you have a few choices. 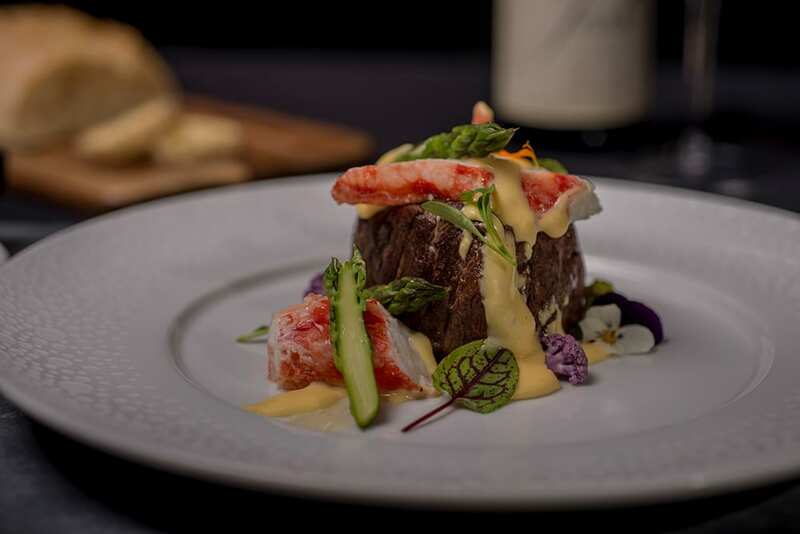 From the Truffle Filet and Forbidden Salmon to the Lobster Maki Roll or Bistro Tender, you cannot go wrong. Each dish has been thought through with local, fresh, and vibrant ingredients to bring you a top-notch flavor. So, make a reservation at the Cottage today to experience this bliss. The best restaurants in Sarasota bring phenomenal seafood as well as global cuisines right to you. These are some of the best restaurants in the United States, so we would urge you to try all of them if you can. Each one has it’s own unique flavor, style, and ambiance. The chefs have put a unique spin on their own dishes, so you won’t have the same shrimp, snapper, or sauce at any spot on this list. Sarasota has so much to offer, it is no wonder it is one of the best places to live in Florida. Of course, the restaurant scene might just be our favorite part. You might have to save up a little vacation money if you’re going to hit all of these, but we assure you it will be well worth it. Is there a place that you think should be in the list of the best restaurants in Sarasota? Let us know in the comments below!